It’s the Holidays! Yay! Thought you’d never be able to eat your favorite Holiday dishes again – unless it came with a large dose of guilt, a side helping of body fat, and a fast route to diabetes and other health issues? Well think again – because now you can. Make life a lot more scrumptious and a lot less restrictive by easily whipping up your Holiday menu from your new KETO for the Holidays Cookbook. For everyone wanting to feel fantastic without giving up taste, improve their health dramatically, and lose body-fat, this cookbook is crammed with delicious Holiday recipes for 53 fat-burning, health-boosting, joyful dishes that will help in your quest for improved wellness and increased fat-loss while keeping your taste buds insanely happy. Developed for people loving the KETO / LCHF / LowCarb lifestyle, but also suitable for people who are following any of the following ways of eating: SANE, Paleo, Wheat Belly, Primal, Wild Diet, Bulletproof, weight-loss, gluten-free, grain-free, sugar-free, soy-free, diabetic, dairy-free (with slight modification), and many other dietary lifestyles. Want a physical book with pages you can turn? Head to Amazon: click here for physical book! Want a digital download to keep on your device? Keep scrolling down! Get your DIGITAL download of the KETO for the Holidays Cookbook right now and get ready to enjoy the best tasting, healthiest Holidays you’ve ever had! PLEASE NOTE: THIS IS A DIGITAL COOKBOOK THAT YOU DOWNLOAD TO YOUR DEVICE, AND IS THEREFORE NOT RETURNABLE OR REFUNDABLE. IF YOU ARE LOOKING FOR IT AS A PHYSICAL COOKBOOK HEAD TO AMAZON HERE: click here for physical book! Breakfasts, appetizers, entrees, side dishes, desserts, beverages and even recipes for that leftover turkey! Metric and imperial measurements give correct quantities no matter where you live – no converting required! All recipes are free of sugar, grains, gluten, and soy. Many are also free of dairy and / or eggs – or can be easily modified to accommodate. Prefer to read things on your Kindle? 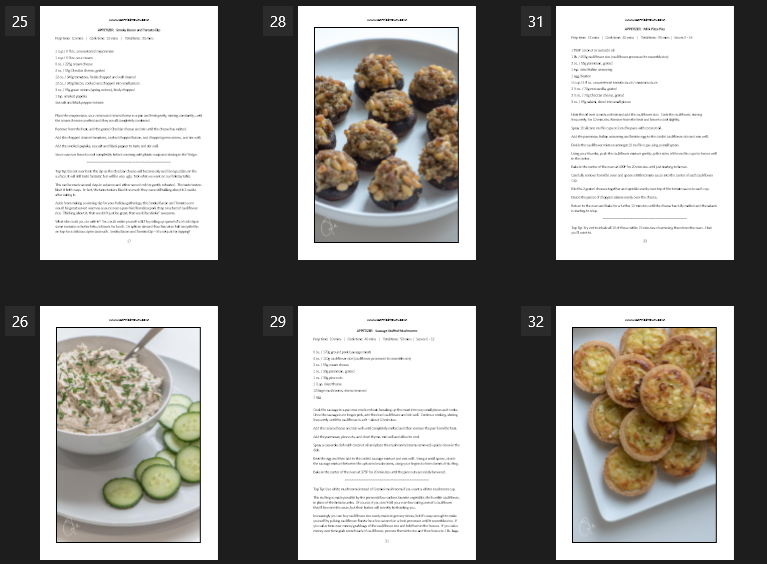 Just click on the pictures below to discover more fantastic KETO cookbooks!